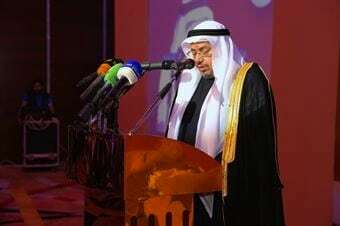 KUWAIT – Kuwaiti Ministry of Awqaf and Islamic Affairs plays a main role on spreading Islamic knowledge among people, Ministry Undersecretary Dr. Adel Al-Falah said on Tuesday. A large number of experts are taking part in the three-day conference, which is organized by the Ministry of Awqaf in cooperation with Kuwait Institute for Scientific Research (KISR), he stated. The Islamic world is facing immense challenges concerning the food it consumes which is not guaranteed to being ‘Halal’, at times where the media and the interest of large corporations play a main role in effecting the quality of food stuff, he affirmed. This conference would be of great interest to Muslim communities living in non-Islamic countries, he said. Ministry’s Undersecretary for Administrative and Financial Affairs, Fareed Assad Amadi, called on participants to shed more light on subjects discussed to best serve the Islamic societies, and contribute in developing its economies. The ministry sponsoring this conference will positively reflect on promoting scientific researches that serve the public health of Muslim societies, Chairman of KISR Dr. Nafi Al-Mutairi. Secretary General of World Halal Council, Dr. Salah Ayyed, praised Kuwait’s initiative represented by the Ministry of Awqar in adapting such leading researches. The real need for such conferences stems from the increasing keenness of Muslims towards consuming Halal products, he added.